bedroom home is beautifully furnished. The property is located on a huge, fenced in lot for your privacy. 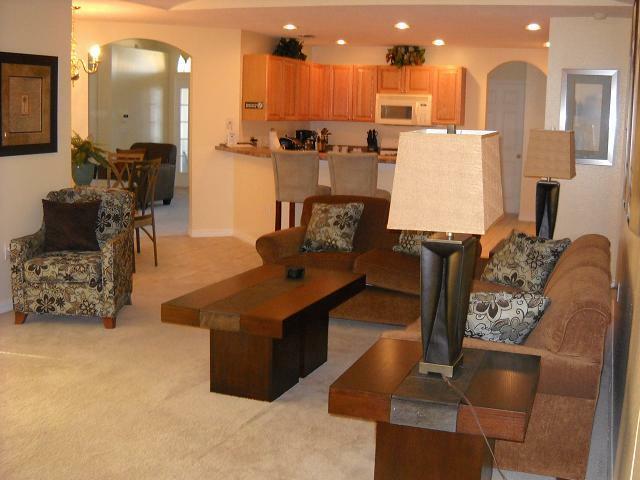 The pool is heatable and private, and features a large "L" shaped lanai with plenty of space to relax in the sun. 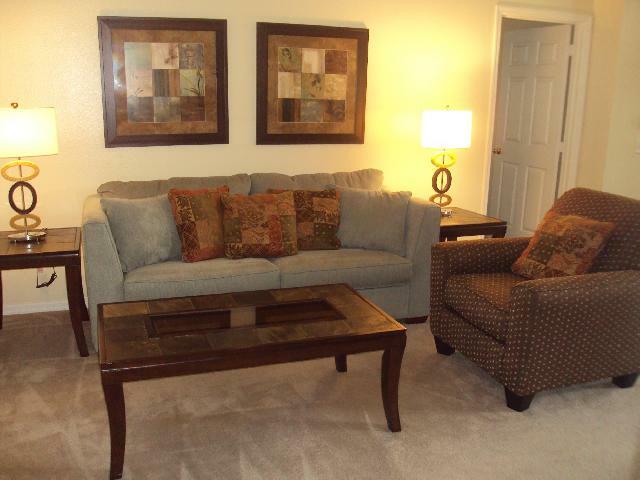 The family room has a large 50" TV, an iPod dock, DVD player, and flatscreen TVs in 3 out of the 4 bedrooms. 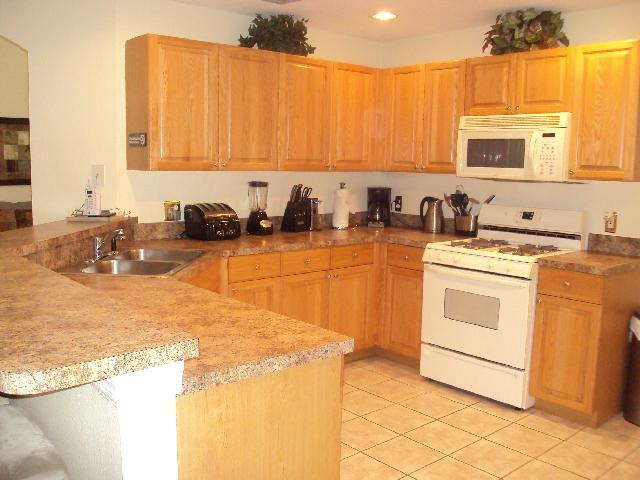 The villa is well equipped, and includes a full kitchen and laundry room. 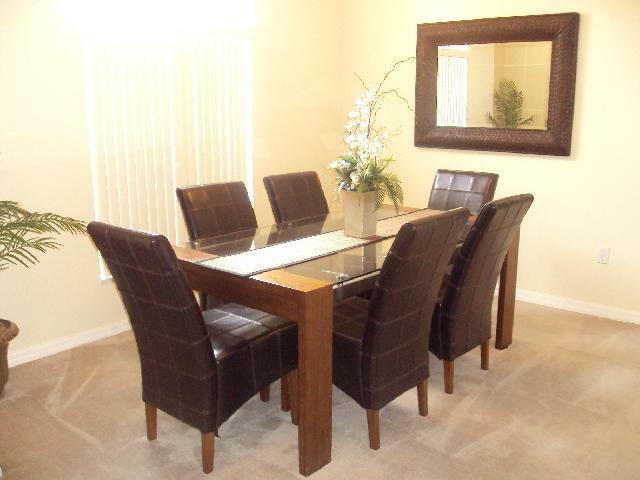 The location is excellent, minutes away from major highways, attractions, restaurants, supermarkets, and golf courses. 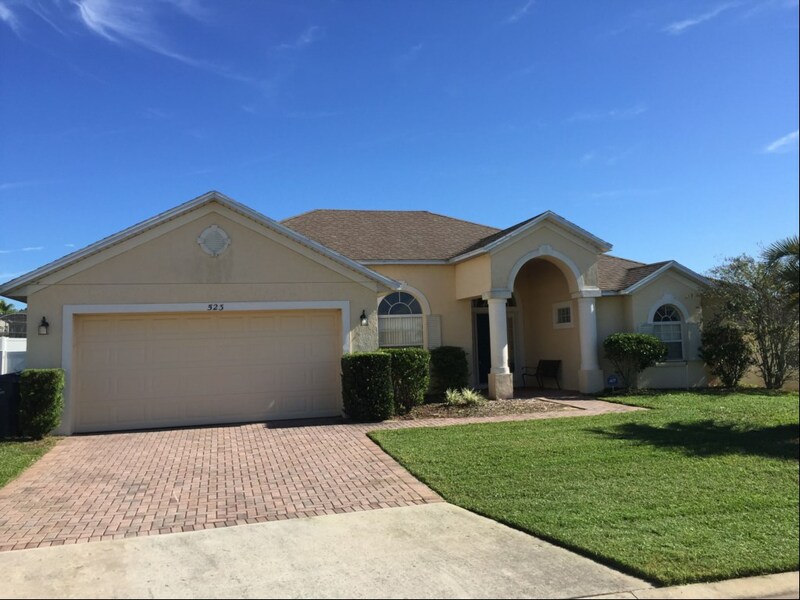 This property is located in the beautiful community of Tuscan Ridge.